Fresh Prep helps busy people like you create world-class dinners in minutes with prepared recipe ingredients delivered weekly to your door. No grocery shopping. Zero prep required. We shop, chop, and deliver fresh recipe ingredients directly to your home or office each week. 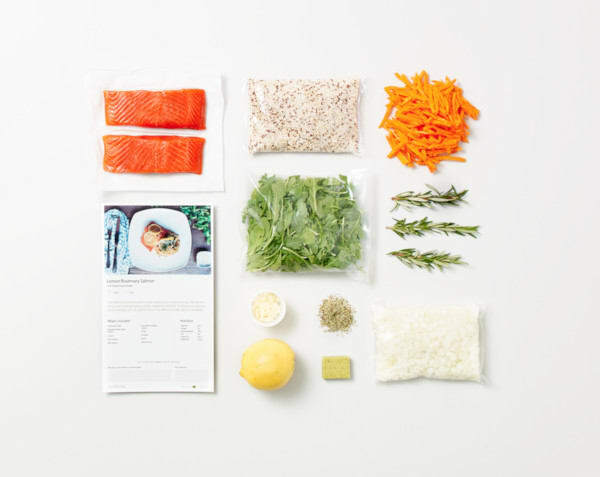 In a cooler bag, you'll receive just the right amount of every ingredient along with simple instructions to cook a meal you'll love in under 30 minutes. Prepared ingredients mean zero prep required and fewer dishes to clean up. Designed by chefs and nutritionists, enjoy delicious new meals every week using high quality, fresh ingredients--local where possible. All meat is raised without unnecessary antibiotics and hormones. Certified by Ocean Wise, all seafood is wild caught or sustainably sourced. It's better for you, our community, and it simply tastes better. Enjoy chef-quality meals any night of the week at a better value than your local grocery store.